I really liked the Miracle Oil Body Wash. It worked really great. It made my skin soft. I wasn’t expecting to be able to try the hand soap as well. It smells really good. This new Dial Miracle Oil Hand Soap brings nourishment and skin hydration to your hand washing experience. Let the smooth feel of Miracle Oil gently remove dirt from your hands and leave them feeling smooth and refreshed. 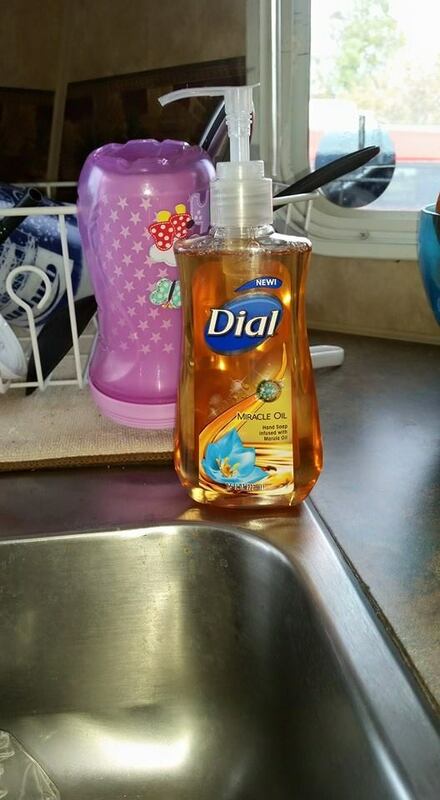 We will be giving away one (coupon) for a free bottle of Dial Hand Soap. This entry was posted in Giveaways - Contests, Reviews and tagged beauty, Cleaning Product, Cleanliness, contest, contests, dial hand soap, Giveaway, giveaways, hand, hand soap, health, miracle, miracle oil, product, product review, Review, Soap. Bookmark the permalink. I would love to try this because most of the time my hands could use a miracle to look good. This looks like a great soap! 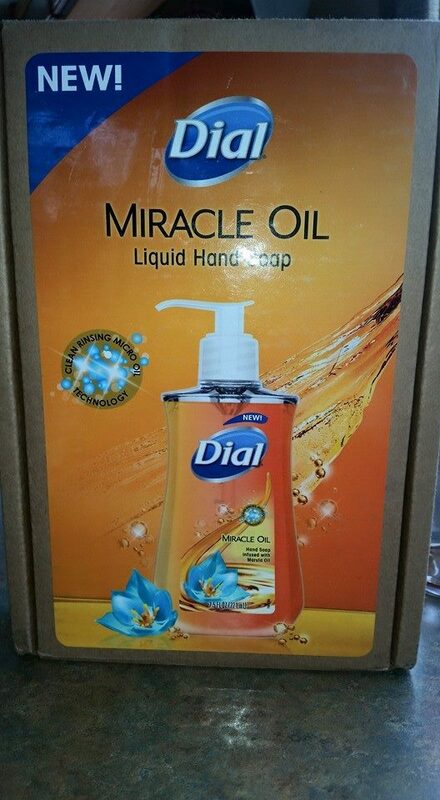 I would love to try Dial Miracle Oil Hand Soap. I look forward to trying this soap! My hands dry out a lot since I wash my hands a lot. This might help my dry hands. I would love to try this. This would help with my dry hands. My hands get so dry from washing them so often. I would love to try this and see if it helps with that!